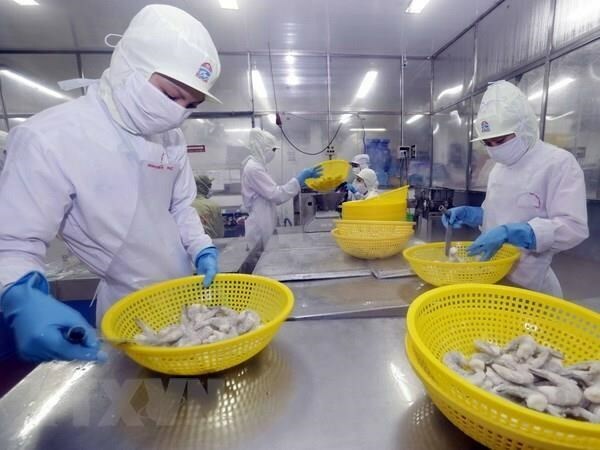 Kien Giang (VNA) – The Mekong Delta province of Kien Giang earned over 107 million USD from exports in the first quarter of this year, or 15.8 percent of the yearly plan, down 20.1 percent year-on-year. The falling export value was attributable to price competition that resulted in fewer orders, as well as manufacturing protection policies in several countries. Director of the provincial Department of Industry and Trade Ngo Cong Tuoc said that in order to achieve such a goal, the locality will clear difficulties regarding materials, capital, labour, and technology to boost manufacturing and processing, thus improving product quality and competitiveness. Further attention will be paid to global market movements and enhancing trade at Ha Tien international border gate and Giang Thanh national border gate.